Cresting a hill on the D610 as it winds its way north east from Puichéric, we are greeted by a blanket of vines, straddling the hills in regimented rows like a military cemetery, majestic in their orderly fashion, but uplifting, the jasmine, russet and golden leaves swaying gently in the morning breeze. The sacrament of morning, said Elizabeth Barrett Browning: it draws you higher. We’re heading towards Argeliers, where Steve will put together the blends for our French country wines. 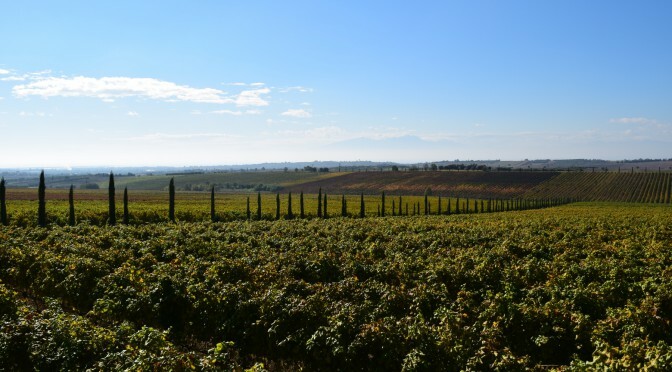 The Minervois is truly inspiring; passing La Redorte, stretching out on either side of the road, there are vines to the right of us and vines to the left of us as far as the eye can see, shimmering in the soft southern light. But alas, things are not quite as sunny as they seem down here in the Languedoc. 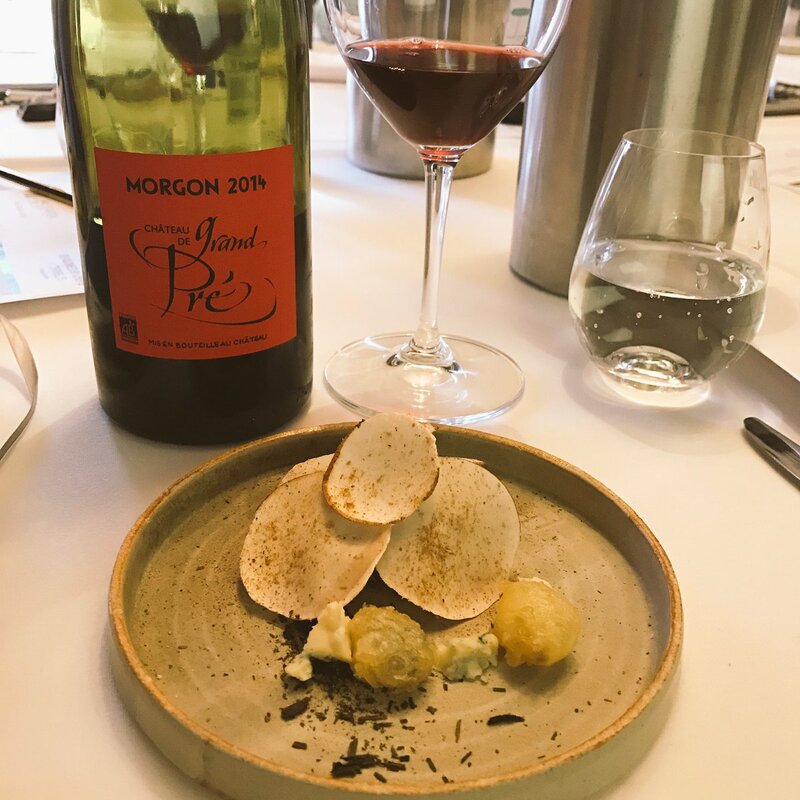 As we are gee-ing ourselves up in the tasting room, Sébastien Tomasoni, the Co-Op cellar master, tells us that the Languedoc has lost half its production in recent years. “Ten years ago we produced twenty million hectolitres, now it is closer to eleven million hectolitres. The future is bleak,” he says. “Spanish producers are very aggressive.” This morphs into a discussion on Marine Le Pen’s chances in next year’s General Election. Support for her in this part of the world is very strong. Sébastien shakes his head glumly. 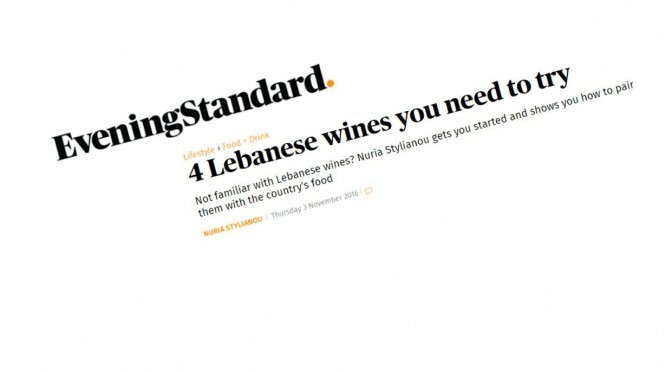 He should be more positive: after a €5 million investment, the winery, originally built in 1931, is one of the market leaders in the region. As we limber up, Steve and I are both intrigued at the news that the Co-Op employs a mobile bottling line, capable of bottling 5,000 bottles per hour. To business: lined up against the wall are twenty or thirty sample bottles. They look like shy schoolgirls at the village dance, standing on the edge of the floor, nervous, waiting to be asked, hopeful of making the cut. At 9.15 we begin; the chips are down. Sauvignon Blanc is first up. Sébastien explains that it was a difficult year for Sauvignon Blanc, and indeed the wine seems overly restrained. There are three different samples. The first is voluptuous but lacking in acidity. The second is aromatic, but lacking in intensity. The third has a touch of a bitter finish. 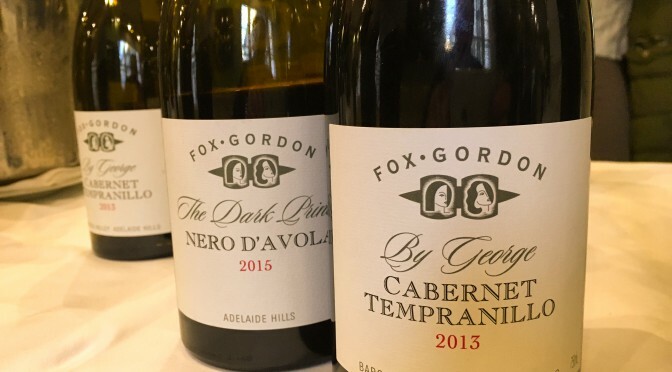 Steve calls for a blend of the first two – much better, nice finish. Vermentino is next up. This has a lovely spicy nose, and with huge intensity – a lovely wine. Steve blends some Vermentino into the Sauvignon Blanc and that wine immediately improves. Viognier is next. Two sample bottles. Both good, but both needing work. So we add in some of that Grenache Blanc in a combination of 60/30/10. Almost there. 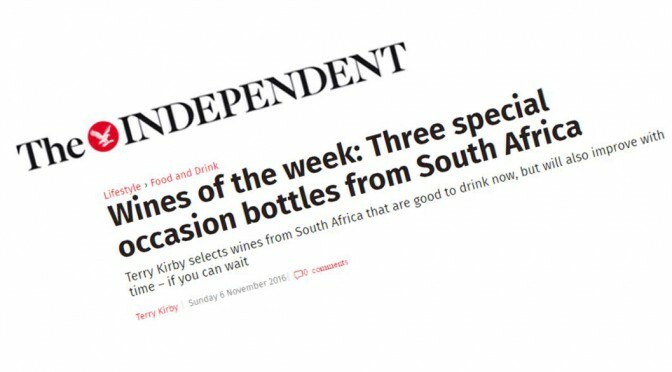 So we try 50/40/10 and – hey presto – this wine is a stunner! Now it is 10.45. We take a deep breath, then crack on. The three house wines are next: Heraldique, Chevanceau and Les Boules. 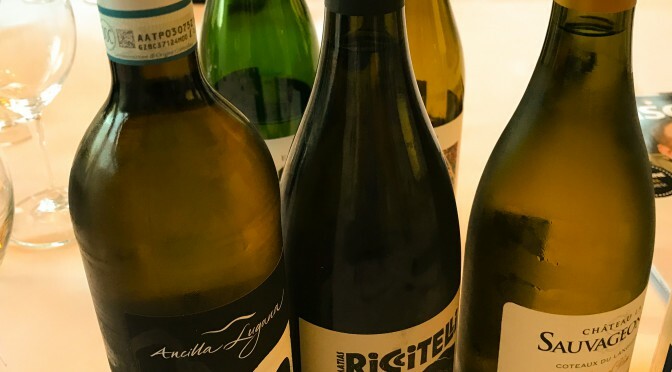 For this, Steve goes through around twenty four combinations of grapes using Marsanne, Viognier, Sauvignon Blanc, Chardonnay, Vermentino, before settling on the three different blends. And the tasting goes on. Through the Pinot Noir samples and then the Merlot samples, with the blending room now looking like a bomb site, purple-stained glasses, clumps of soggy kitchen paper, slippery and reddened worktops. Well after midday we continue, the pangs of hunger now beginning to kick in. Three Syrah’s are evaluated, discussed, blended. 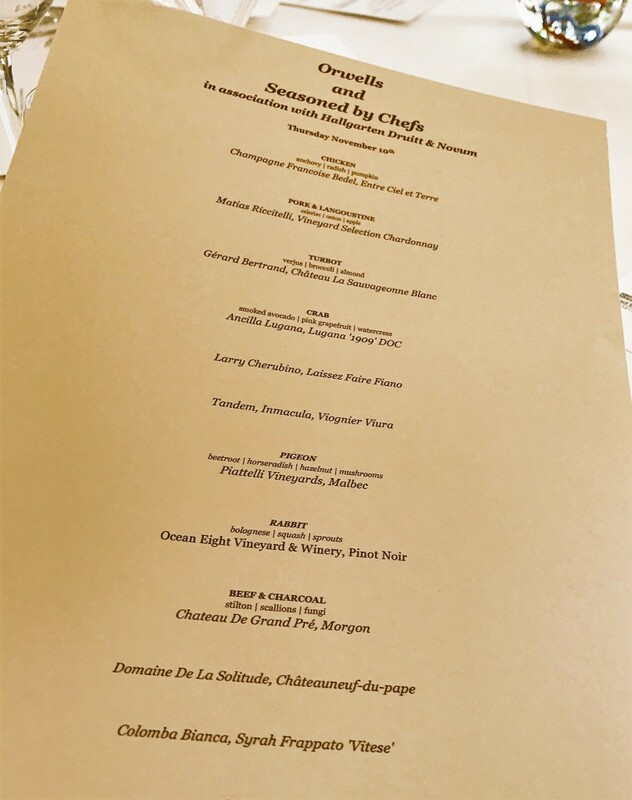 Then three Cabernet Sauvignons, followed by three Grenache reds (which, like their white equivalents) look wonderful (or is this just psychology?) Then, we turn to our innovative Pinot/Grenache blend. The Pinot comes from young vines, and the combination of the two wines is really lovely. 1.30 pm and we’re still going strong. Some pizza has been delivered next door for a working lunch – but we must crack on! Marselan, Mourvedre and Carignan are next in line for the treatment. We go through the blending for the house wines. The Marselan is a great sturdy blending wine. But it’s difficult to find the three combinations we want. And the smell of that pizza is beginning to waft into the tasting room. Eventually, at 2.30, we bring the session to a close. It’s been a five and a quarter hour stint. The pizza lasts 30 seconds. An opulent wine which retains the estate’s characteristic elegance and shows a modern style of winemaking. 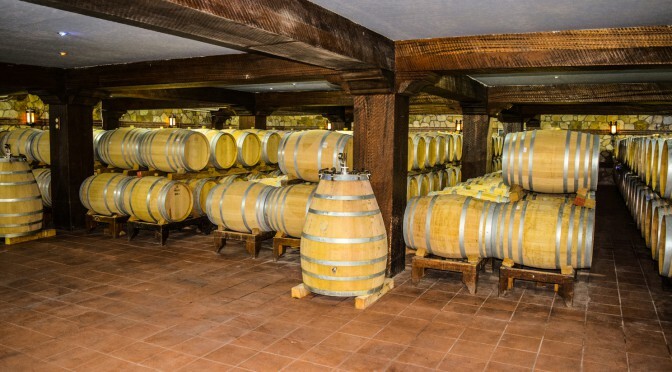 Wines have been made on this estate for several hundred years, dating back to 1264 when the family arrived from Italy to serve the pope in Avignon. The three hats depicted on the label, refer to two bishops and a pope, who were among the fore fathers of the Lançon family. Today, the Domaine with 38 hectares in the Châteauneuf du Pape appellation is managed by brothers Jean and Michel Lançon, together with Florent, Michel’s son. Florent, who is passionate about innovative winemaking, whilst honouring traditional values, has recently started working with new tulip-shaped concrete vats which were initially designed for Cheval Blanc and are at the cutting edge of winemaking technology. Domaine de la Solitutude’s wines are renowned for their characteristic elegance whilst expressing the true origins of their terroir. The grapes were meticulously sorted, destemmed and gently crushed before entering concrete fermentation tanks via gravity. 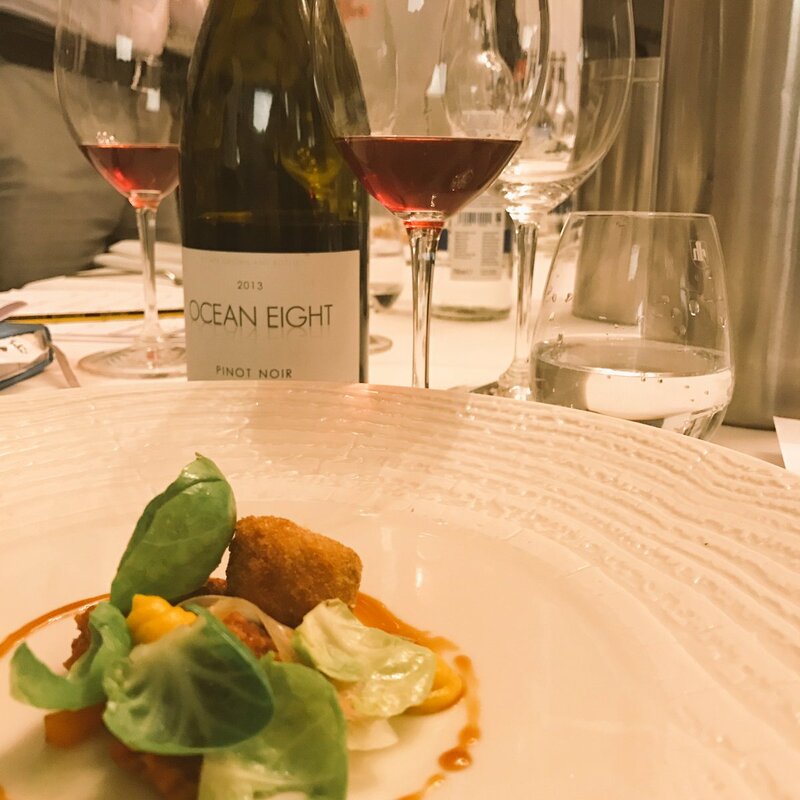 The juice underwent a 25 to 30 maceration, with lees stirring to give complexity to the resulting wine.. A proportion of the wine was aged in new and one year old oak barrels for a period of 12 months. Ripe Morello cherries are complemented by vanilla and spice. Elegant and smooth. 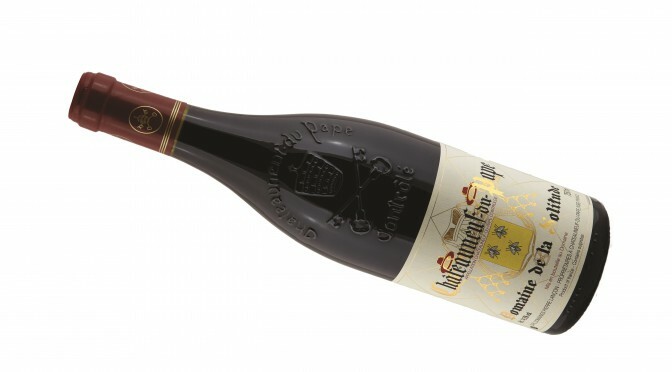 A wonderful accompaniment to a slow cooked beef and wild mushroom stew, or rich, game dishes. John Keats wrote On First Looking into Chapman’s Homer after reading Elizabethan playwright George Chapman’s translation of Homer. Although Keats was very familiar with Homer through previous translations, Chapman’s version had an enormous impact on him. He saw Homer through fresh eyes. The volta within the poem – “Then felt I like some watcher of the skies/When a new planet swims into his ken” – conveys his sense of awe at the discovery that he could transcend his role as a passive viewer of literature, and the knowledge that he, too, could create great works. So the scales have fallen from my eyes. Just like they did for the Cockney poet. But let’s face it, it’s a tad unlikely (just a bit!) that I’ll be able to come up with anything that matches Keats’s Melancholy, Nightingale or Grecian Urn, even with the best inspiration to hand. Talking of which, where’s the nearest Malagousia? I am being driven at high speed – maniacal speed – by Dimitris Seitanidis. 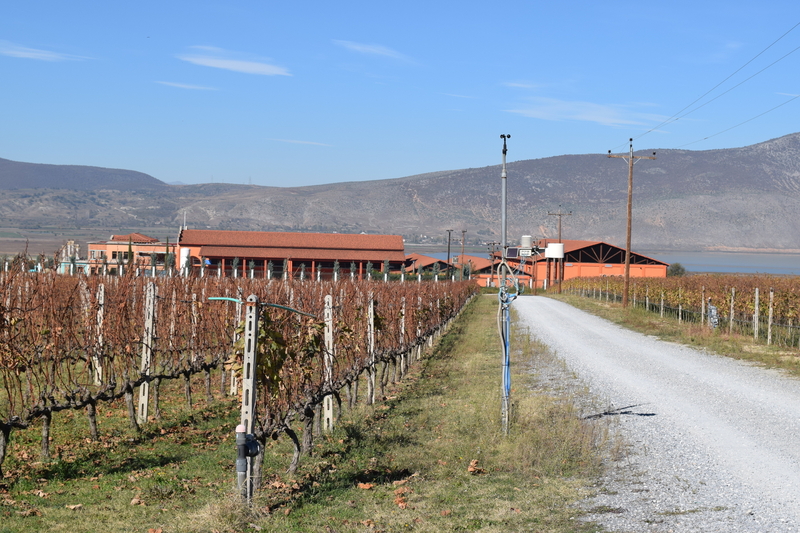 We’re on our way from Kavala to Drama (the modern-day spelling of Hydrama) to visit the Manolesakis Estate, whose wines we started importing earlier this year. Dimitris, it would appear, could also work as a tour guide as well as a wine exporter. Later he will take me on a hair-raising moonlight tour of Thessalonika, chock-full of his flowery accounts of the town’s history. Worse, still, my mobile phone is playing up. But I’m determined not to faff around. Best not to make a Drama out of a crisis. I groan inwardly at my pun. We pull up at a pleasant modern building on the outskirts of town. 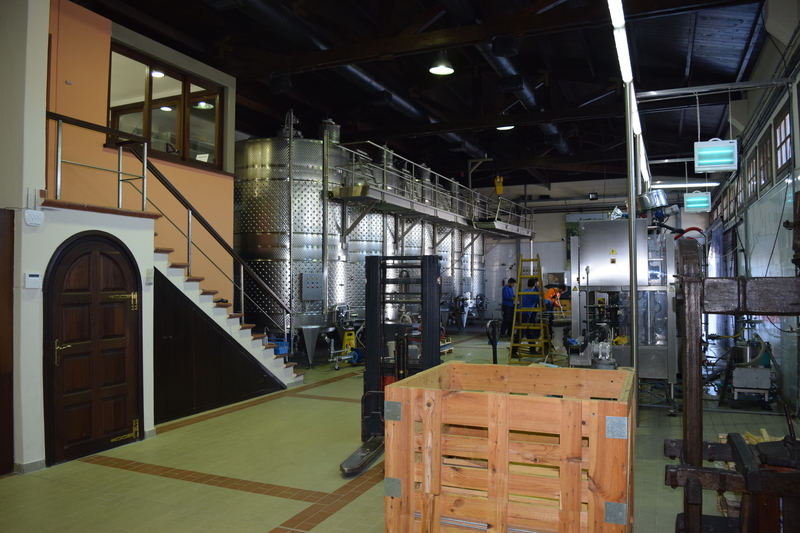 Compact, this is the winery from which 150,000 bottles are produced each year. I am greeted with polite restraint by George (whom you immediately warm to, as he has a wrinkled and mischievous face, and bears an uncanny resemblance to Barry Cryer). 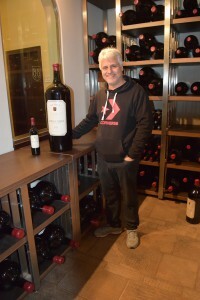 He and his winemaker, Angeliki Apostolakis, give me a guided tour of the small, meticulously clean winery which actually looks more like a large house with attached garage. An original garagiste. It’s all very polite, a touch reserved. And then in walks Stavros. Stavros Manolesakis, George’s son and general manager. Stavros the Greek. Big bushy beard and moustache, open necked shirt, billowing black leather jacket, big bear hug. “A typical Crete guy,” whispers Dimitris. He is almost a parody, I think, as he rat-a-tat chatters with Dimitris. Later I find that this is a delightful chap, who in his spare time creates banquets for the villagers and who delights in cooking for any local wedding in the village. He shows me a photograph of him barbequing 140 kleftikos. He is frustrated that I have not chosen to stay with his family. “Next time, you stay with me and I cook,” he states. This is not a question. I’m not going to mess with Stavros. We screech to a halt. Stavros’s father originally planted western varietals such as Sauvignon Blanc, Cabernet Sauvignons, Merlot and (not an obvious choice, this) Ugni Blanc. It is only in the last five years that he and Stavros have begun serious plantings of indigenous varietals. This seems to be a common theme on my trip. 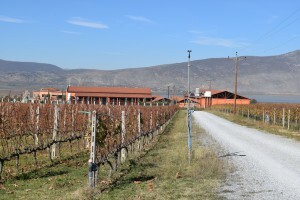 Now the area is best known for Assyrtiko, Limnio, Roditis and Agiorgitiko. Angeliki explains that Drama’s continental climate, rich soil, and gentle slopes provide ideal conditions. 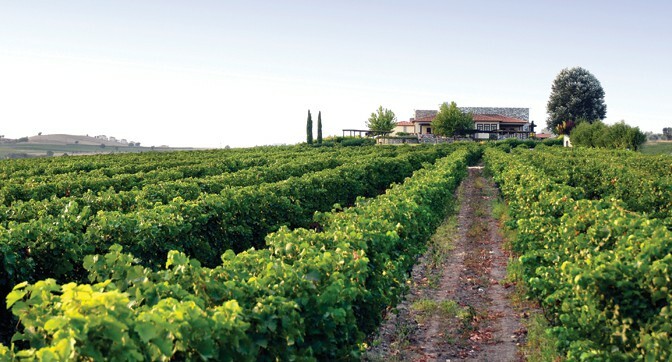 The result is low yields per hectare and a low volume wine production. Like the other producers on my visit, they are trying to buy other plots throughout the area, but the locals are not stupid and are holding out for higher prices. “What can you do?” asks Stavros, as we climb back into the car and charge back to the winery, where Stavros directs us into the tasting room. “Let the tasting begin,” he announces. in the mouth, very easy drinking. Malagousia 2015 – fabulous nose, very very lively, vibrant, a touch of the zibbibo. Exis White (Malagousia/Assyrtiko) 2015 – creamy nose, touches of ice cream sundae, spicy palate, but beautifully balanced, acidity started to tail off now. Estate Red (Cabernet Sauvignon/Merlot/Syrah) 2011 – dark fruit, restrained at first, then opening out after ten minutes, soft vanilla, very easy drinking. According to Stavros, this is what defines Drama. 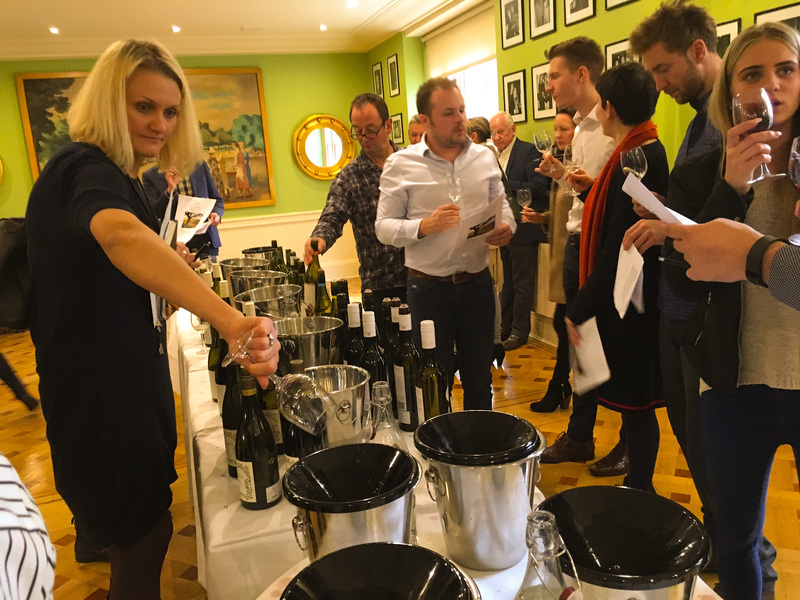 Alpha Estate Axia White 2015 (Assyrtiko/Sauvignon Blanc) – nervy and steely and poised; like a highly-strung filly panting in the starting gate. It is beautifully balanced. The acidity feels understated, but the wine stays in the mouth for an eternity, lingering like a love song. Gerovassiliou Estate White (Malagousia/Assyrtiko blend) 2016 – roll out the barrels: this is a stunner! Beautiful nuances of cream, peach and tangerine, then moving on to soft spiciness in the mouth, white pepper, jasmine, exotic, something of the souk about it. Just bottled. 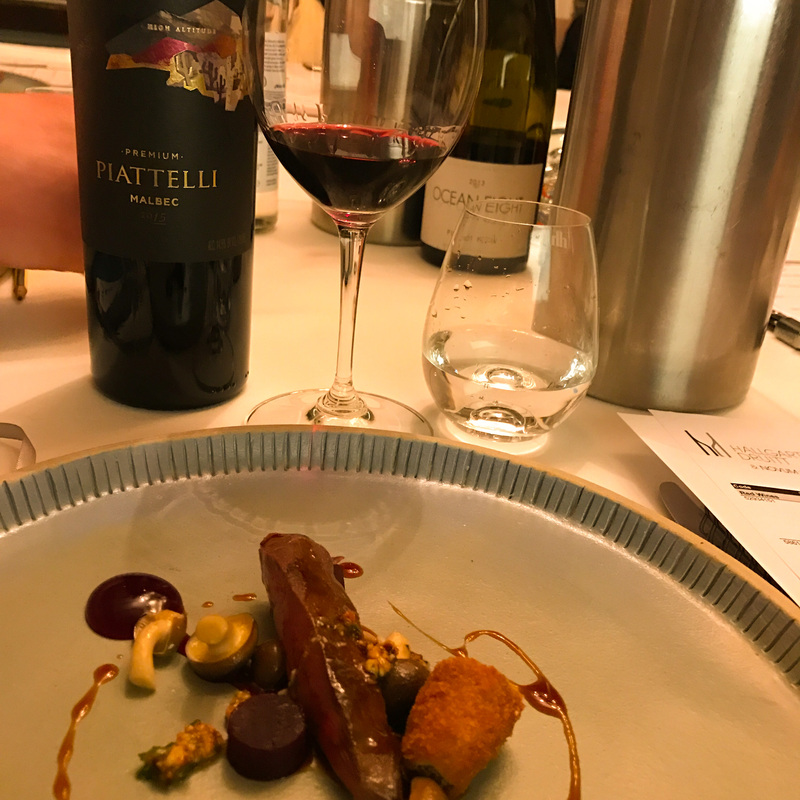 Gerovassiliou Avaton (Limnio, Mavroudi, Mavrotragano) 2013 – interesting wine, this. The deep black fruit is obvious, but running through this is a fault line of minerality. It has an edginess to it. Poised, like a gymnast. Biblia Chora Estate Red 2012 (Merlot, Cabernet Sauvignon, Limnio) – a fantastic and classy nose, definitely claret-like. Beautifully integrated into the oak, real concentration of flavours and well balanced. Although aspiring to favour the indigenous varietals, this becomes my wine of the trip. Manolesakis Estate Red (Cabernet Sauvignon/Merlot/Syrah) 2011 – dark fruit, restrained at first, then opening out after ten minutes, soft vanilla, very easy drinking. This is so apt. We’re on our way to visit Biblia Chora, which nestles in the foothills of the majestic Mount Pangeon. 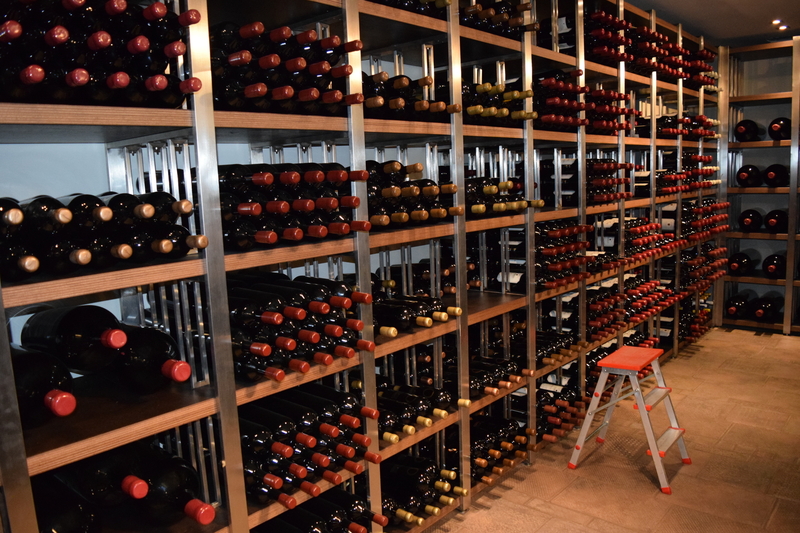 Now here’s the thing: according to Greek myth, Pangeon was where Dionysus – the God of Wine – was raised; the wine here is going to have to be good. We’re very late. The drive from Domaine Gerovassiliou, skirting the Halkidiki peninsular, has taken longer than we thought. No worries. 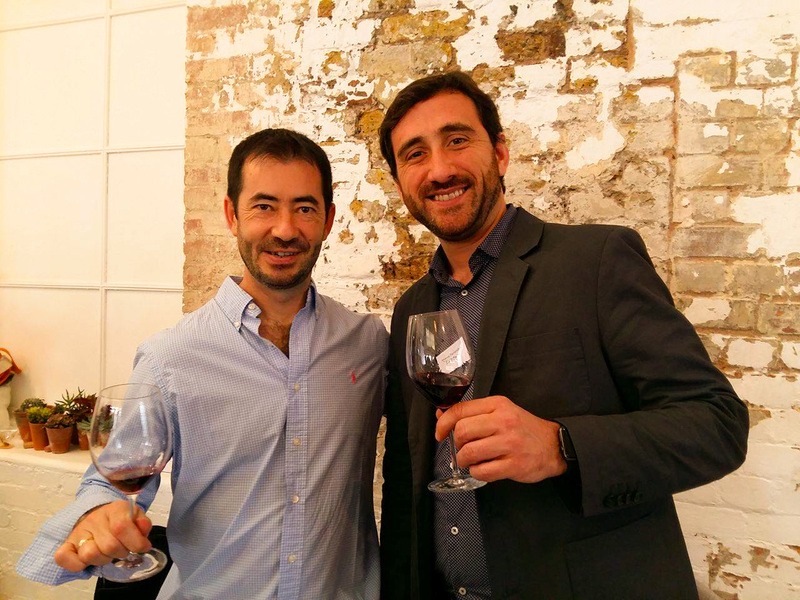 A typically laid-back Vassilis Tsaktsarlis, owner and winemaker, welcomes us expansively. I later find out that Vassilis is 50 years old. He is undoubtedly the youngest-looking 50 year-old I’ve ever seen who has not worked in Hollywood. 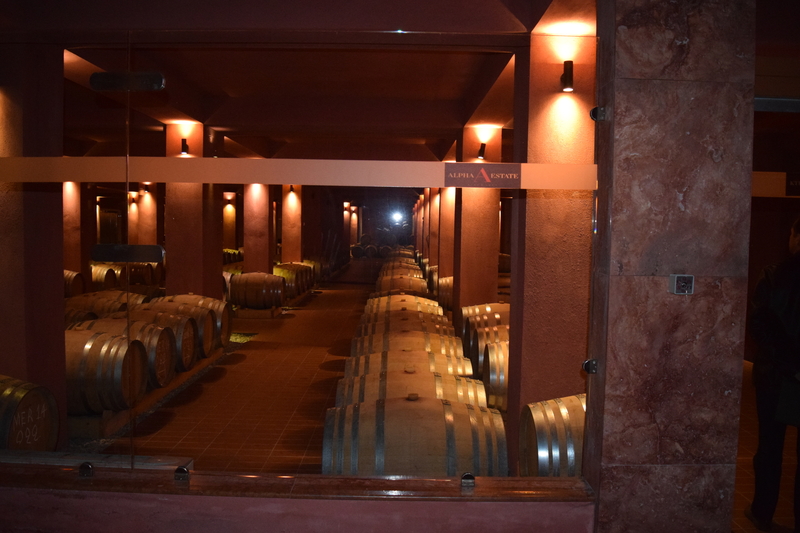 We go for a tour of an absolutely pristine winery, built on two floors below a beautiful reception area which would do justice to a four-star hotel. 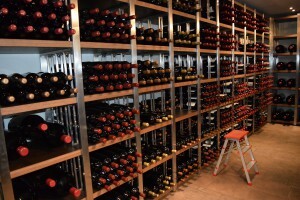 “We started to build the winery in 2001 and finished in 2007,” he states proudly. 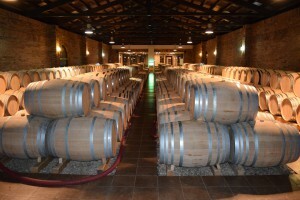 Vassilis set up the winery with his good friend and mentor, Vangelis Gerovassiliou and €15 million was invested and. 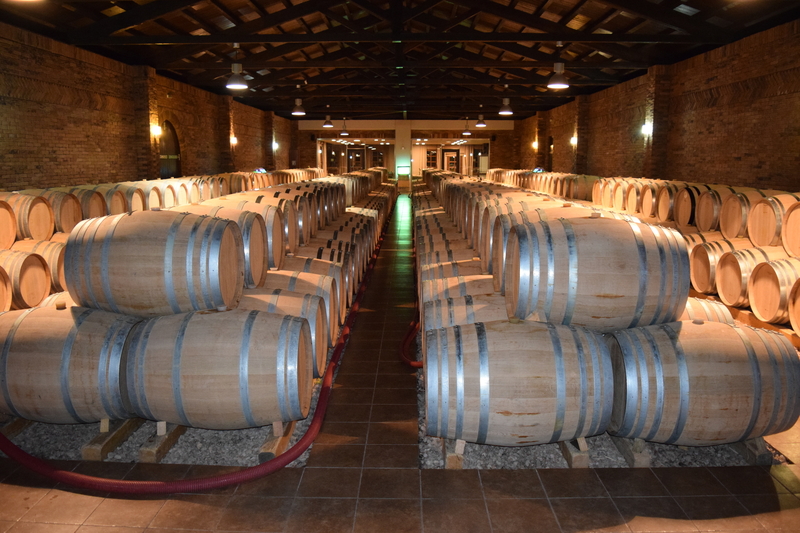 As well as the regulatory stainless steel and oak barrels (all red wines are aged in French oak), Vassilis has ten small tanks for research, into which he processes grapes from 24 different experimental vines. “Next year we are looking to experiment with concrete egg tanks, but this is risky because we rely heavily on the home market. Vassilis originally worked for Nico Lazaridis, before striking out on his own. He explains that Gerovassiliou comes to the winery once or twice a month and then spends a great deal of time during harvest time, when they put the blends together. As it is late, we get stuck in to the tasting, leaving the vineyard tour for the morro. Areti 2013 (Assyrtiko): big steely Premier Cru Chablis nose, tangerine, a touch of petrol. Full bodied in the mouth but acidity kicks in at the end. Estate Red 2012 (Merlot, Cabernet Sauvignon, Limnio) – a fantastic and classy nose, definitely claret-like. Beautifully integrated into the oak, real concentration of flavours and well balanced. Although aspiring to favour the indigenous varietals, this becomes my wine of the trip. Ovilos 2008 – smoky nose, very expressive and upfront. Tannins still very firm but not harsh. A touch of minerality. Good balance. “Didn’t they shoot a James Bond movie on Mount Athos?” I say. That brings the conversation to a stop, but Vassilis quickly corrects me: “No. You’re thinking of The Holy Trinity Church at Meteora in the centre of Greece.” Ah. We turn back to the vines. “Which one was it?” I say. Chris and Vassilis look at me in puzzlement. “The James Bond movie?” We pause and think. “I think it was For Your Eyes Only,” I say again. Chris and Vassilis leave me to my ruminations while they continue with the discussion on the vineyard. But now I can’t get rid of that theme tune which was sung by, who, Lulu? No, hold on. Getting confused again. It was Sheena Easton, not Lulu. “For Your Eyes Only, da da da da dah…” Yup. 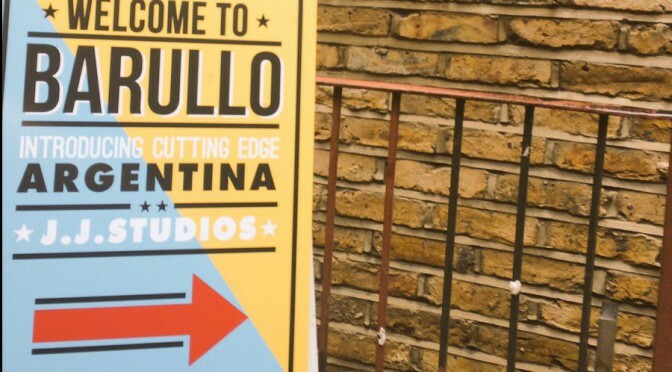 For two days, hidden away behind the bustling streets of Hoxton, in the loft of JJ Studios, were a collection of the finest wines Argentina has to offer presented by the nation’s innovative winemakers. The selection of wines from Andeluna demonstrated the exceptional quality that can be achieved from vineyards planted in the foothills of the Andes, 4,300 feet above sea level. None more so than the Passionado, Cuatro Cepas 2012, made from the winery’s four key grapes (Cabernet Sauvignon, Merlot, Malbec and Cabernet Franc), individually vinified and aged for 12 months, then blended and left to rest for six months in new French oak barrels; resulting in the perfect combination of Andeluna’s vines that year. Riccitelli Wines set up in 2010 by, Matias Riccitelli, the rising star who has already made a huge mark on the Argentinian wine industry by winning multiple awards in such a short space of time. 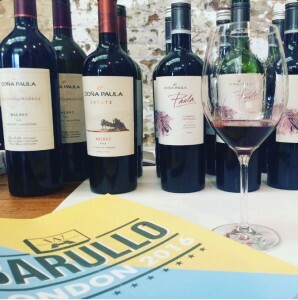 Matias creates each wine through the combination of high levels of technology, rich native soils and new winemaking techniques; culminating in a truly personal style. 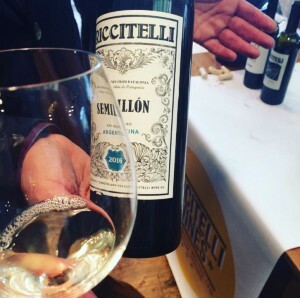 A style epitomised by the Riccitelli Semillon, made with 60 year old vines and for eight months; 50% in concrete eggs and 50% in oak barrels. 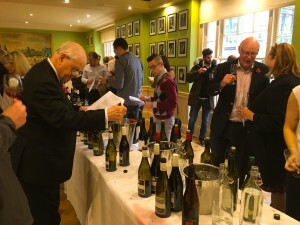 The selection of wines from each producer demonstrated an incredible consideration of the country’s terroir and how sustainable production methods create a unique wine. 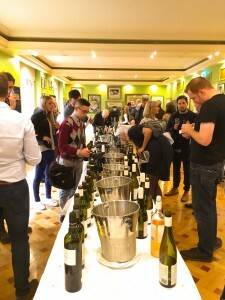 Each of the 40 producers in attendance are certainly not afraid to push the boundaries of winemaking and challenge the norm in pursuit of perfection. Like a lot of great men, the thing which strikes you about Vangelis Gerovassiliou is his humility. Here we are, Chris Losh and I, on the second day of our Greek trip, sitting on the deck of Gerovassiliou’s ocean-going liner of a winery, and he resolutely refuses to gloat when we keep bringing up the subject of his 1990’s single-handed resurrection of the then almost extinct Malagousia grape. Softly spoken, he is a man for whom a shrug of the shoulders says more than a dozen words. • Estate White (Malagousia/Assyrtiko blend) 2016 – roll out the barrels: this is a stunner! Beautiful nuances of cream, peach and tangerine, then moving on to soft spiciness in the mouth, white pepper, jasmine, exotic, something of the souk about it. Just bottled. 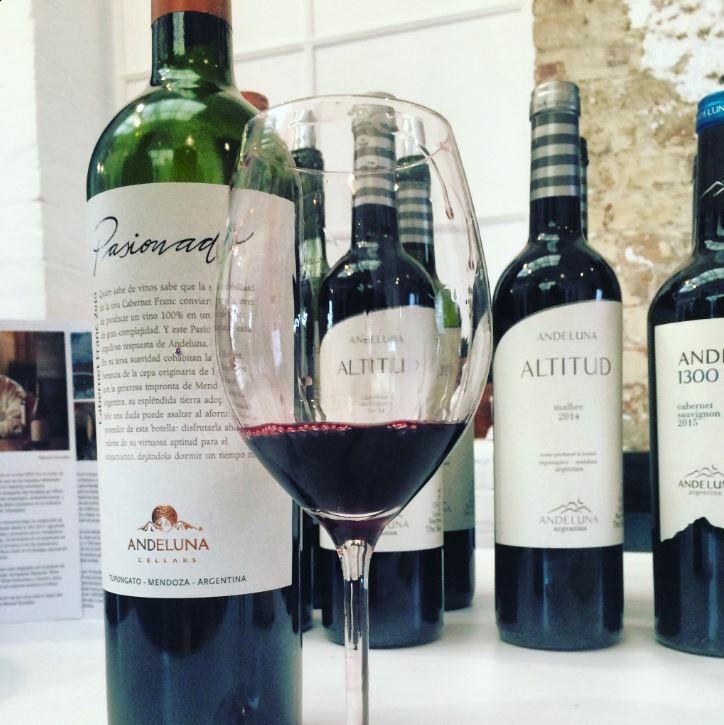 • Malagousia 2015 – big, rich and textured, good body and satisfying round. Spices in the mouth, warm, enveloping. A foodie wine. 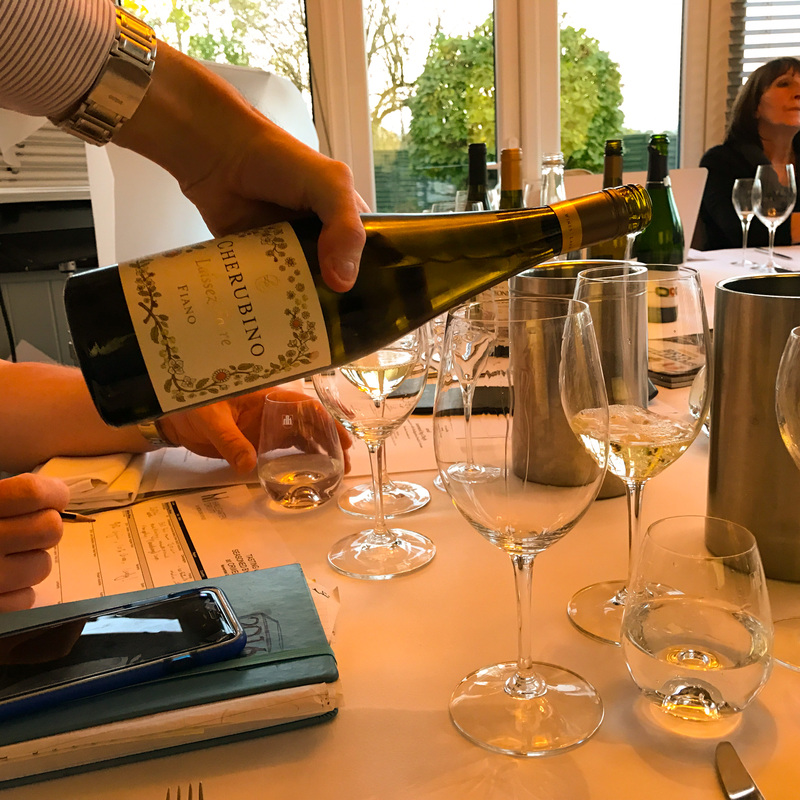 • Sauvignon Blanc 2015 – a lovely wine. Serious nose, Loire-type grassiness, touches of white pepper. In the mouth it is rich and complex with a hint of salted caramel meandering through the palate. 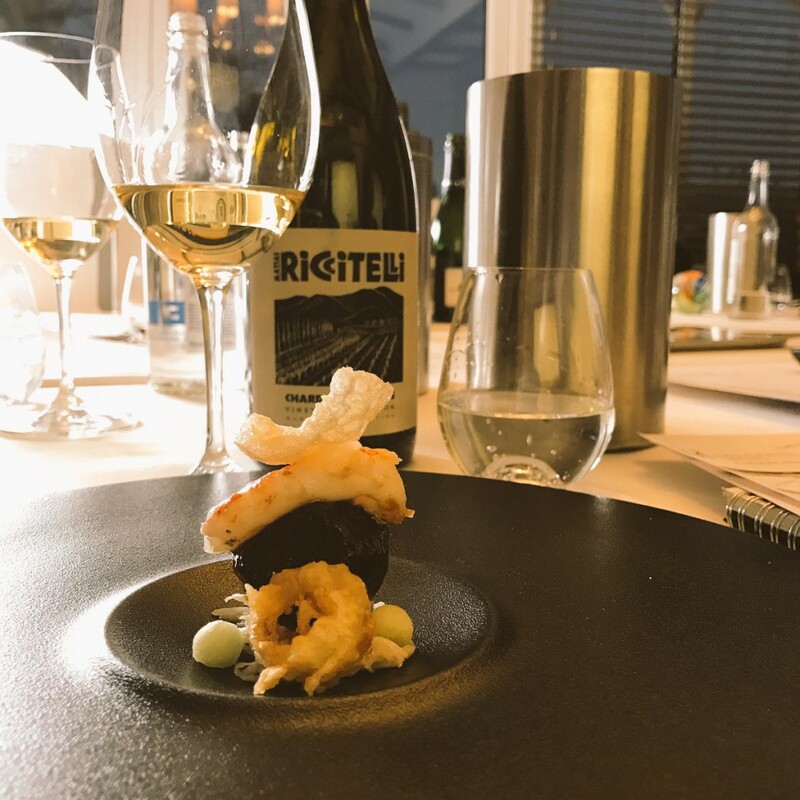 • Museum Collection 2014 (a blend of the major whites – Malagousia, Assyrtiko, Viognier, Chardonnay, Sauvignon Blanc) – Complex nose, stone fruits, quince, almond ice cream, incredible concentration of fruit and a long finish redolent of dried apricots. But I want to taste the 2016s rather older bottled stock. Thankfully, Vangelis can sense this and I see him sneaking off to the winery, returning minutes later with tank samples of the 2016 whites. We wait in anticipation while he opens the Malagousia, then bury our heads in the glass. Some things stay with you for a long time, they play on your memory. This is such a wine. 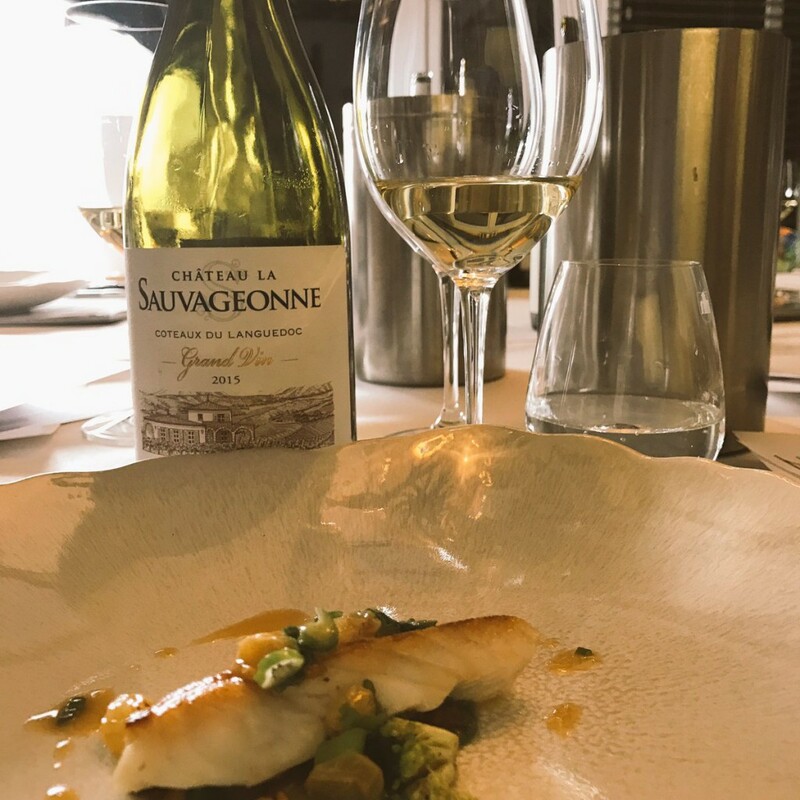 Thinking of words to write, what comes to mind is that it somehow sits between a Chablis and a Sancerre, having the steeliness of one and the richness of the other. The Viognier has that lovely just-cut apricot smell. It lingers, it fills the room as I bend to write. But the maestro is not happy. Vangelis shakes his head and says we must waits few minutes. He thinks it is too closed. So we wander away and look at other wines, but I’ve got one eye on my glass in the corner. After ten minutes Vangelis beckons us back, a quiet smile on his face. And now the wine leaps out of the glass like a salmon. This is a speedball of fruit. My mouth wants to explode. The mouth is filled with a wonderful piercing acidity. • Estate Red (Syrah, Merlot, Limnio) 2014 – rich stone fruit, a hint of rhubarb. Stylish and smooth on the palate. • Avaton (Limnio, Mavroudi, Mavrotragano) 2013 – interesting wine, this. The deep black fruit is obvious, but running through this is a fault line of minerality. It has an edginess to it. Poised, like a gymnast. It reminds me of the first time I ever tasted Mavrud, in Bulgaria, 22 years ago. • Avaton 2016 from tank – Black Forest Gateaux, alcoholic, almost port-like. Massive. Jolly good thing we were complimentary about the 2016s then! No matter how many times you do it, there’s always something disconcerting about being deposited by the late night budget airline into a small, unfamiliar European city. Bleary-eyed passengers shuffle unseeing through the dimly-lit concrete arrivals hall and emerge into a cold night, now blinking against the harsh light of the bus concourse. Thessaloniki is considered an open-air museum of Byzantine art, according to VisitGreece, but tonight it’s pitch dark and we’re hungry, and all we pray for is a taxi. But there are times in your life when you’re really grateful to be a wine buyer, especially when you work with producers such as Evangelis Gerovassiliou – the Godfather of Malagousia – who has arranged for us to be picked up. Minutes after landing we are whisked off in a cab (how guilty you feel, looking back at the queues for the airport bus) that winds its way us through the industrial surrounds of the airport to an amazingly funky restaurant, Duck Private Cheffing (some name!) where Evangelis treats us to carpaccio of swordfish, eggs sprinkled with black truffles (brought into the restaurant by a mate of his who tells us they come from Mount Olympus! ), grilled langoustine, lobster, grouper and seabass. And four desserts. Four. I’m here on a long-awaited trip to visit some of our producers in northern Greece (and about time, too) and next morning, in the company of Imbibe’s Chris Losh, I am driving through the flat scrub hinterland of the city towards Amyndeo’s hazy, golden and tawny coloured hills which offer the promise of kind things. Immediately upon arrival at Ktima Alpha, you feel at home. The winery is new, linear, cool, classy. The affable export manager, Kostas Arvanitakis – a touch of the Danny de Vito here – greets us expansively, takes our bags and whisks us away on a tour of the vineyards. The estate was founded in 1997 by the experienced viticulturist Makis Mavridis and chemist-oenologist Angelos Iatridis. The winery and the 105-hectare vineyards are situated midway between two huge lakes on land which was previously underwater. “Here they have found many fossils, including some mammoth fossils,” explains Kostas, as we watch two falcon hawks glide overhead. 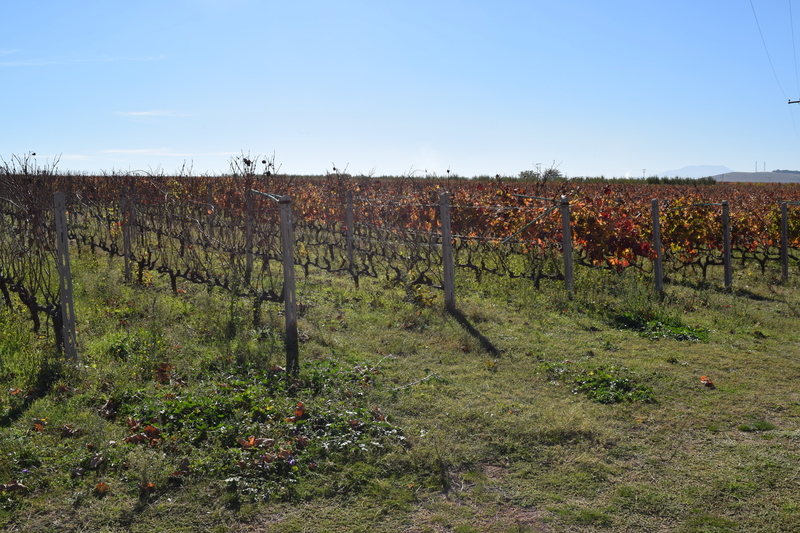 The vineyards are in immaculate condition. 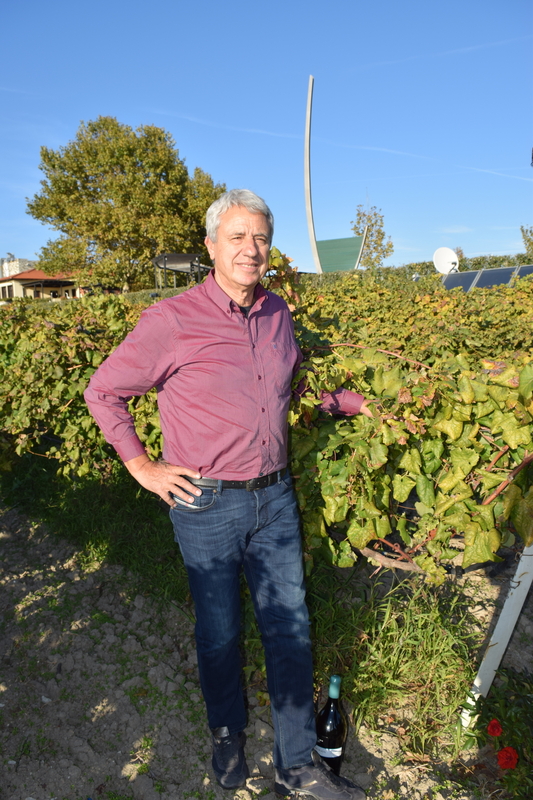 Ktima Alpha was the first vineyard in Europe to install subsoil irrigation pipes – in 1995 – and now have 500 kilometres of them. “That would get you from London to Newcastle,” I helpfully explain to fellow northerner Chris. 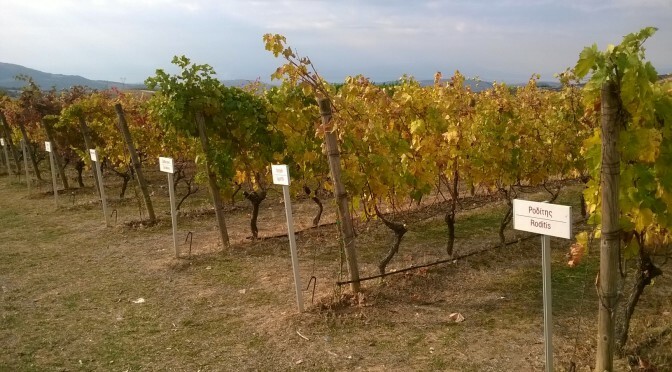 “We have fifteen varietals in production, with another twelve on an experimental basis, “ says Kostas, pausing to show us the prized 93-year old xinomavro vineyards; the winery’s Xinomavro Reserve regularly tops the bill as the best Greek red in international competitions. Alpha is on a journey to increase awareness of Amyndeo, often in the shadows of its bigger cousin Naoussa down the road. Alpha are renting a satellite from the University of Athens to provide photographs to allow them to ascertain ripening potential. “We make our data available to the local winemakers. If we can help them, then we increase awareness of Amyndeo.” It seems to be working. 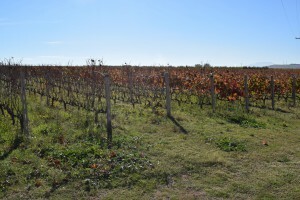 Vineyard land is increasing in the region, in contrast to much of the rest of the country. The €20 million investment in the winery is obvious. The winery is sparkling. We pose by the horizontal rotating fermenters, the French oak barrel room, the R&D department – “Angelos’ playground,” according to Kostas. 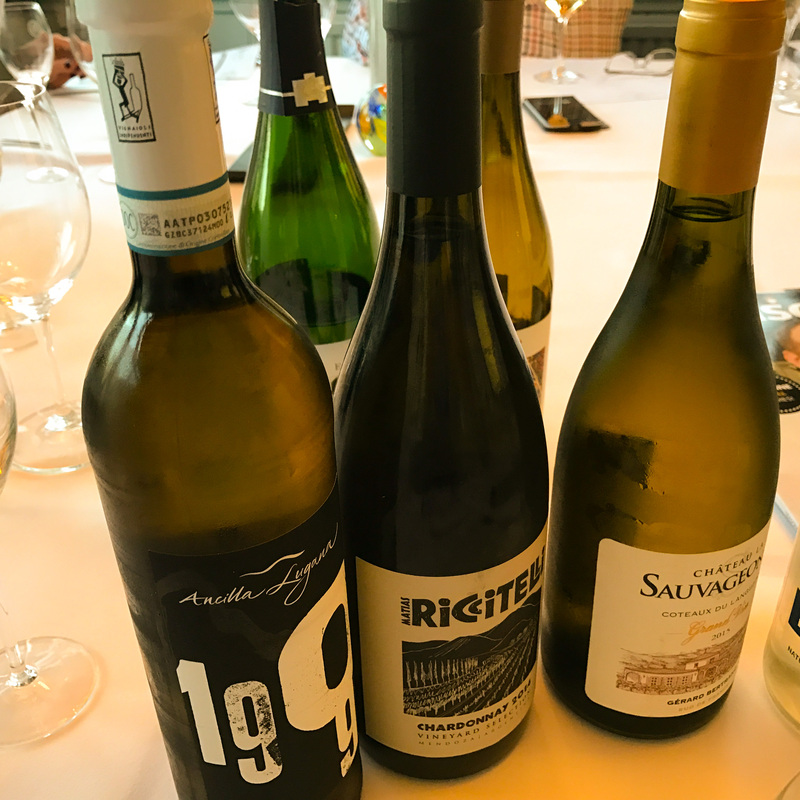 Axia White 2015 (Assyrtiko/Sauvignon Blanc) – nervy and steely and poised; like a highly-strung filly panting in the starting gate. It is beautifully balanced. The acidity feels understated, but the wine stays in the mouth for an eternity, lingering like a love song. I announce this grandly. Kostas looks bemused, but does reveal that Australia’s Peter Barry has planted assyrtiko and has released his first commercial batch. Xinomavro Hedgehog 2013 – masses of juicy just-pressed curranty fruit on the nose, ripe strawberry fruits, pomegranates, sweet, almost unctuous. Beautifully smooth in the mouth, oak integrated, soft tannins. Really gorgeous. 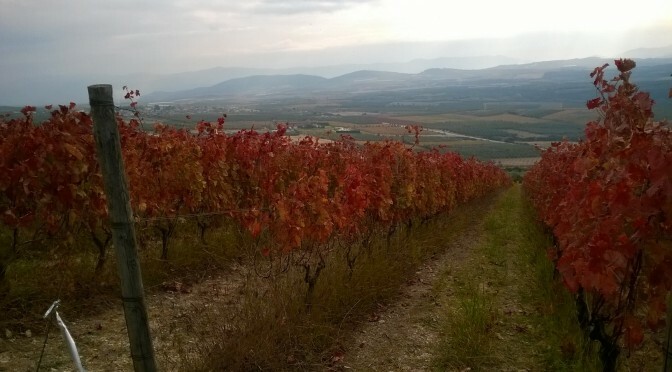 Xinomavro Reserve 2012 – classy elegant, Mayfair gentleman’s club on the nose, leather, sophisticated, Prime Minister’s Question Time – important and significant. Alcoholic, leather chairs, cigar smoke. Xinomavro Reserve 2005 – right out of the top drawer. Serious, deep, moody, a big novel of a wine. Surprisingly upfront fruit, but in the mouth it is textured, gamey, supply and leathery. Perfect balance. Still got lots and lots of time. Alpha Estate SMX (Syrah, Xinomavro, Merlot) 2013 – very soft, supply, an athletic wine, limbering up, ready to crush the oppo, good acidity, mocha, coffee, a touch of orange. And then we have lunch. And this is what we have (unbelievably): lentils, eggplant, grilled cheese with red pepper jam, risotto, wild boar with pasta, steak, beef in muscat sauce. And three desserts. Lunch ends at 6.45. It’s good to be in Greece.